Throughout the month of September, all community members are invited to support Family & Childcare Resources of N.E.W. by taking and posting a picture of themselves with the Brown County Breastfeeding Coalition’s butterfly mural. Family & Childcare Resources will receive a $1 donation for each person whose picture is posted, up to $1,000. The Butterfly Mural is part of the Butterfly Effect Project, an international micro-philanthropy movement that empowers communities to raise funds for local causes by making donations when people take and post a picture of themselves with one of the project’s butterfly murals. The Brown County Breastfeeding Coalition was awarded a butterfly mural in May of 2017 and can now give local nonprofits a month in which donations from any pictures taken and posted go to that nonprofit. Family & Childcare Resources of N.E.W. is dedicated to supporting healthy child development by providing high quality education, support and programs to families and early childhood professionals. 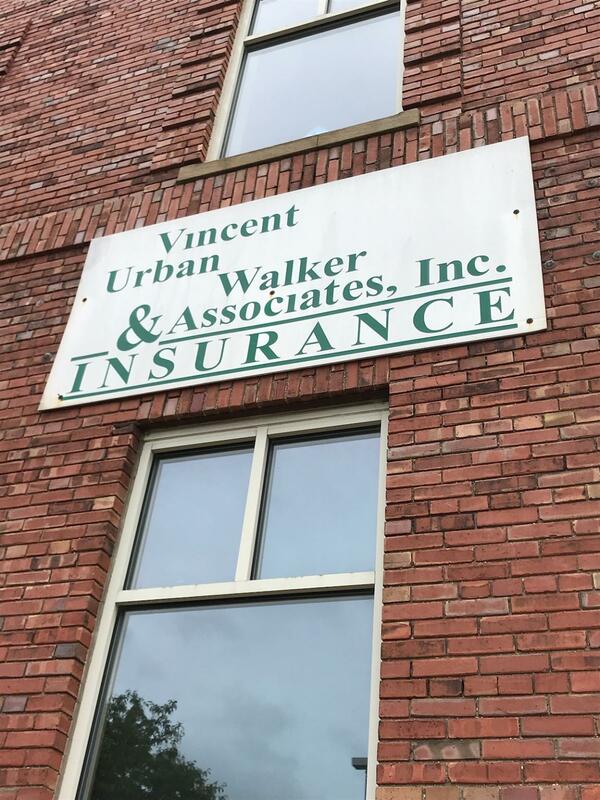 We are a nonprofit that provides education, support, information referral and evidence-based home visitation programs and early childhood consultation (quality improvement for early childhood providers) throughout Northeast Wisconsin. We provide services for two primary segments, one is families and guardians and the second is child care providers and professionals. All community members are invited to help the program grow by participating in the project anytime this September. 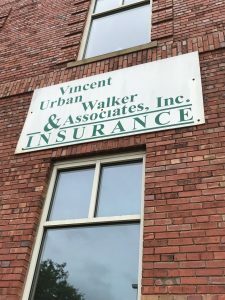 The butterfly mural is located at 300 Dousman St, on the back of the Vincent, Urban, Walker and Associates Inc. Insurance buildi ng (facing the parking lot between Titletown Brewery and Titletown Restaurant). 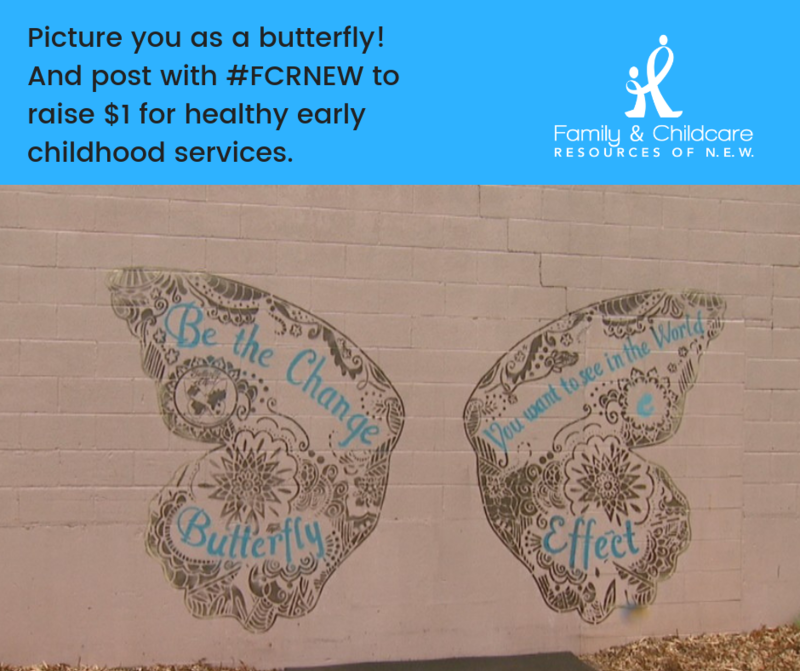 To participate, community members can take a picture of themselves with the mural and then either post it publicly to Facebook, Twitter, or Instagram with #FCRNEW or text the picture to nicole@fcrnew.org with and the program will receive a $1 donation for each person in the picture.